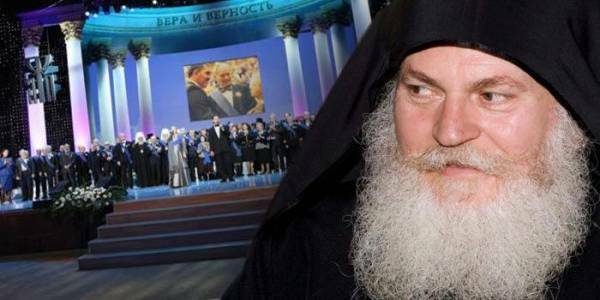 Archimandrite Ephraim, abbot of the Vatopedi Monastery on Mount Athos, has been awarded the annual international “Faith and Fidelity” prize by the Fund of St. Andrew the First-Called in recognition of his labors towards the strengthening of spiritual ties among Orthodox peoples. The award ceremony took place in the State Kremlin Palace. Archimandrite Ephraim accompanied the Belt of the Theotokos, which was venerated by several million people, when it was brought from Vatopedi to Russia in 2011. Observers have called this the largest peaceful gathering of people in the past hundred years. Upon his return to Mount Athos, Fr. Ephraim was arrested in connection with an investigation into real estate transactions going back to 2008. He spent three months in imprisonment. Influential Russian politicians, the Russian Church, and the Russian Foreign Ministry acted in his support. The award, established in 1992 by the Fund of St. Andrew the First-Called, is traditionally awarded on December 13, the feast day of the Apostle Andrew, for service in the strengthening of Russian statehood, inter-Slavic accord, the union of states friendly to Russia, and spiritual renewal. The prize has no cash award, symbolizing the disinterested character of the public service laureates.